Google's bid to reinvent the email client is still invite only (I have a couple invites to share), but it's now available on the iPad. The ad network announced on Thursday that it was rolling out a new version of its email client. 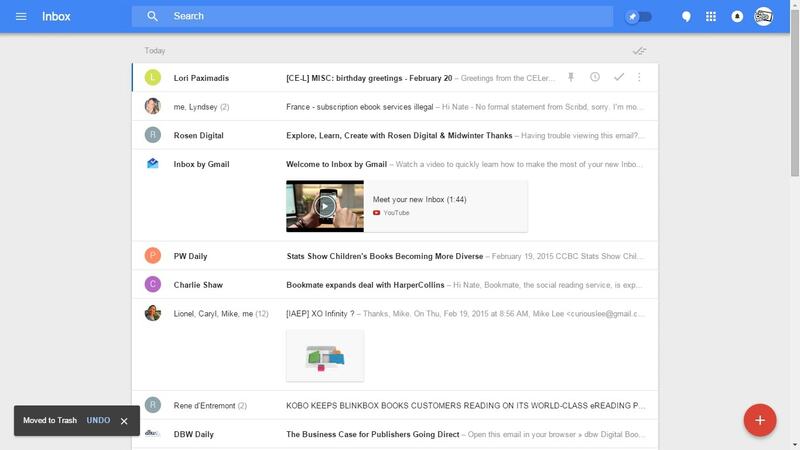 Inbox by Google offers a completely different interface from the usual Gmail client. First unveiled last October, the app offers a cleaner look and several new features, including the option to set a message to snooze and have it pop up later. That's an improvement, but I'm not sold on the iPad app just yet. The web interface, on the other hand, is quite appealing. It's now available in Chrome, FF, and Safari, and I've been playing with it for the past half hour. It looks and behaves radically different from Gmail's other interface, but generally in good ways. The Inbox by Google web app fixes most of the parts of Gmail which I kept tripping over, including the way I accidentally delete, star, and move items without intending to. I'm planning to keep using Inbox by Google for the near future, but I can already tell that a lot of the work I put into organizing my inbox (filters and sorting, for example) is going to have to be reworked. Much of what I used to have to do manually is now automated. You can find the apps in iTunes and Google Play. The website can be found at inbox.google.com, but you'll have to first get an invite and install one of the mobile apps before you'll be allowed to use the web interface. To request an invite, send an email to [email protected] and Google will add you to the waiting list. I also have 3 invites, in case anyone is interested. I love Inbox, and I was delighted to see the iPad version, which I hadn’t even realized had updated until I opened it up and it wasn’t the iPhone version on iPad. I use the Android app and desktop version too. I occasionally have to open regular Gmail but not often. Best part for me? Having certain folders only pop up once a day. Cuts down on notifications when press releases show up. I’d love an invite to Inbox. 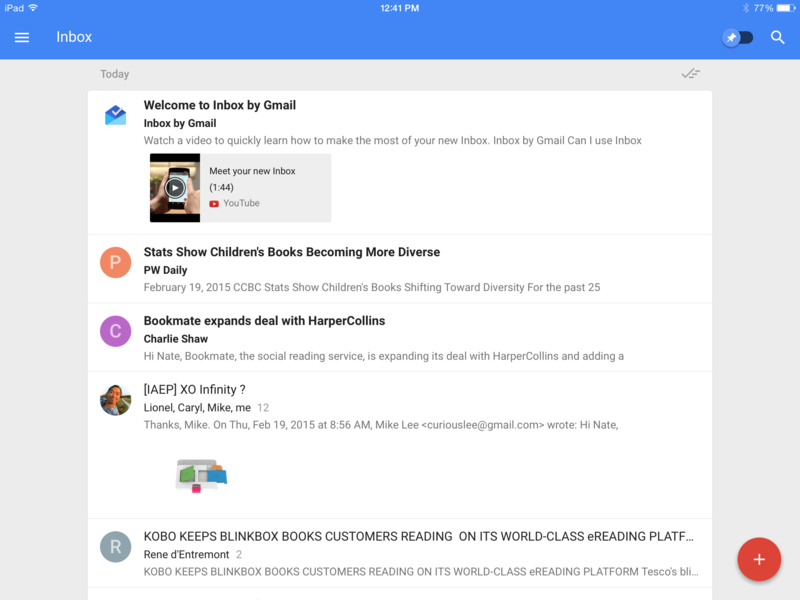 I can’t stand the iPad/iPhone mail interface – but I don’t love the gmail app either! Love reading your site blogs…keep up the good work! If you’ve got any invites left, I’d like one. If I’m too slow on the draw and missed out, though, no problem. I actually quite like Gmail, though I only use it on my android devices. Is Inbox much better on android devices? I’m thinking I’ll try using Inbox on my desktop browser, typically its FF. and I’d love an invite if anyone has one.